Happy Friday everyone! If you've been following the blog lately, you know that I've been in the midst of looking for new drapes for our living room. We had gorgeous, thick red velvet drapes up for the winter, but we recently took them down to freshen and lighten up our space for Spring & Summer. SO, we've been in the market for some season-appropriate replacement drapes, but haven't found the perfect ones just yet. But it looks like both you and I are in luck because Curtainworks recently reached out to me to partner for a giveaway! I didn't know much about them before, but they have some amazing options that are a steal. I know I'm eyeing a few candidates for the living room - and you should check out what they have to offer too! Now on to the good stuff. 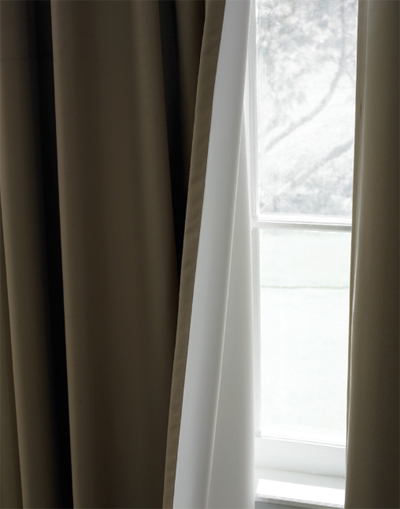 Curtainworks and I are giving away a Pair of Saville Solid Thermal Room Darkening Drapes (that's 2 panels!) in your choice of color AND size. The colors offered are: Chocolate, Ivory, & Linen. And the sizes offered are: 63", 84", 95", 108", & 120". 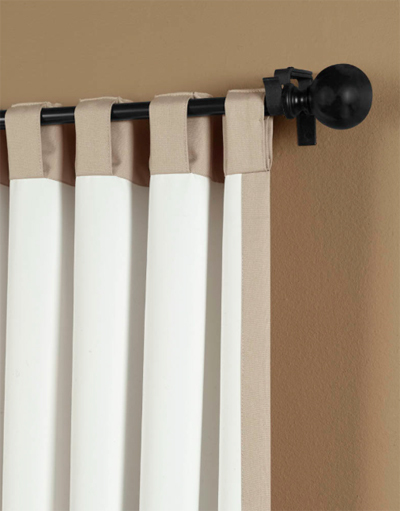 These are great because they keep out unwanted light (sleeping in is easy with these) and offer two ways to be hung (either with the wide, three-inch rod pocket or with hidden, three-inch wide back tabs). Love the options! To win this giveaway all you need to do is either "Like" my Facebook page, follow me on Twitter, OR follow me on Instagram. Once you've done one out of these three, just leave me a comment below letting me know which one you've done and what size and color drapes you'd like along with your email address. *This giveaway is only open to the contiguous United States. 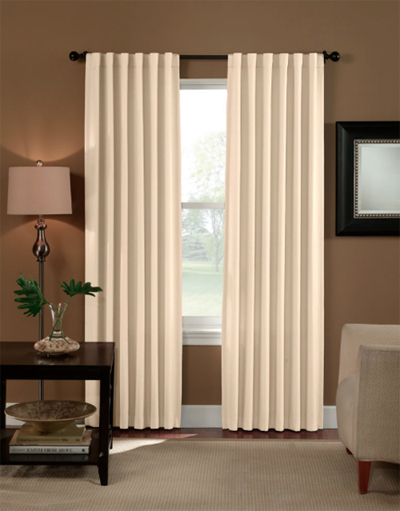 Then you'll be entered in a random drawing next Friday (3/15/2013 11:59pm EST) to see who wins these lovely drapes! I will announce the winner that following Monday (3/18/2013). Good Luck! I've been looking for curtains too! I don't think my ikea ones are cutting it anymore. time to grow up. I "liked" your FB page! I am following! Great Giveaway! Great giveaway :) I like you on facebook and follow on instagram (i'm not a big twitter user). I'd love the 95" in Ivory - we're looking for curtains to try to drown out the train in our backyard! Followed you on twitter! We've been looking for new curtains for our living room and I think the Ivory 84" curtains would look lovely. I liked the Facebook page. I love the 84" linen curtains! What a great giveaway ! Drapes are gorgeous-- so is your website"
I follow Proper Hunt on Facebook and Instagram. 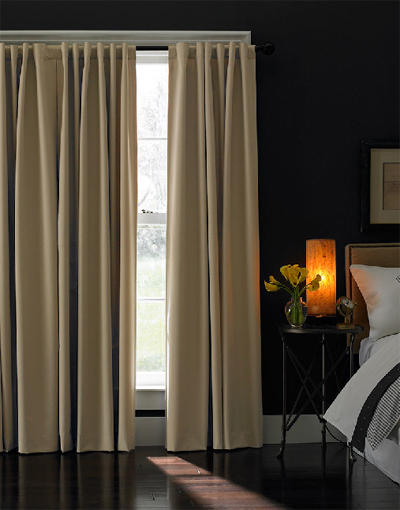 I would love to win a set of 84" drapes in ivory with the 3" deep pocket rod for a bedroom redo. Gotta love thermal curtains for my old (but charming) house with drafty windows!